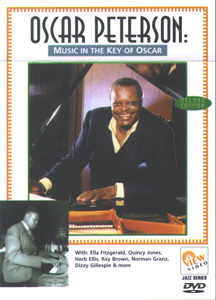 Oscar Peterson released over 200 recordings, won seven Grammy Awards, and received other numerous awards and honours over the course of his career. He is considered to have been one of the greatest pianists of all time, who played thousands of live concerts to audiences worldwide in a career lasting more than 65 years. This performance from Berlin in 1989 features the Master of the Keyboard backed by the equally legendary bassist Niels-Henning Oersted Pedersen and drummer Martin Drew. Oscar Peterson was a star in Canada, his homeland, before Norman Granz brought him to this country in 1949 for a surprise debut at Carnegie Hall. First, a perennial mainstay of Jazz at the Philharmonic, the charismatic Oscar Peterson soon enjoyed universal popularity. 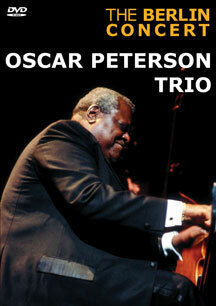 This DVD is a prime example of how he delighted the audiences of five continents in the framework of his superb trios. This riveting music documentary traces the history of the legendary pianist Peterson, from his early days as Montreal's teenage boogie-woogie sensation through his meteoric rise to international celebrity. One highlight in this treasure trove of musical gems is the legendary Oscar Peterson Trio (bassist Ray Brown and guitarist Herb Ellis) who after a twenty-year hiatus, reunited. The program features classic and contemporary performances, rare film footage, in-depth interviews with a cast of jazz legends, and multiple bonus features. 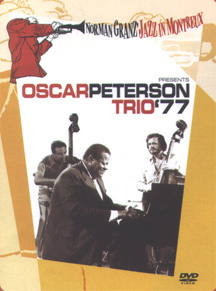 Legendary jazz pianist Oscar Peterson shows off his fluid and hard-swinging style in this home video release, which documents a superb solo set Peterson delivered at the 1975 Montreux Jazz Festival. From the Norman Granz "Jazz in Montreux" series, featuring historical performances of some of the greatest American jazz artists: Ray Brown & Niels Henning Orsted Pedersen on bass. 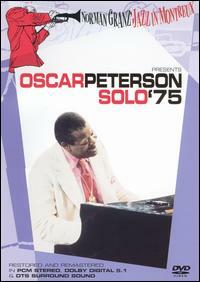 This DVD includes a concert with the great jazz master pianist. 14 tracks are featured, plus bonus features including a Bosendorfer documentary and Peterson bio. 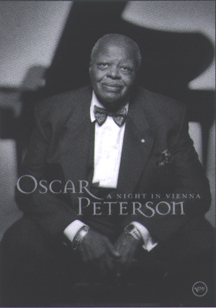 Oscar Peterson - Piano; Ray Brown - Bass; Ed Thigpen - Drums; Clark Terry - Trumpet & Flugelhorn. 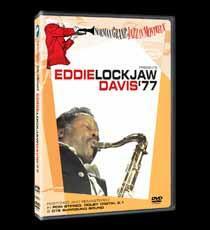 From Norman Granz' great 1977 Festival, this DVD features Eddie "Lockjaw" Davis with supporting performers Oscar Peterson, Ray Brown and Jimmie Smith. 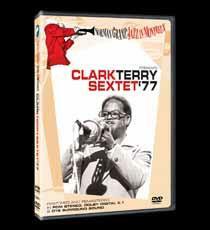 From the great 1977 Jazz in Montreux Festival, Clark Terry is featured with supporting performers Oscar Peterson, Niels Henning Orsted Pedersen, Milt Jackson, Joe Pass, Bobby Durham and Ronnie Scott. Ben Webster (1909-1973) was, without a doubt, one of the most important and influential tenor saxophonists in jazz. 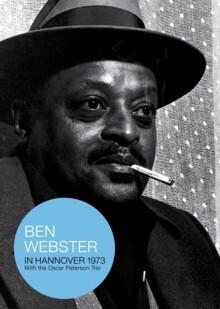 This outstanding DVD gives us the rare opportunity to not only listen to Webster, but to see him in performance, exquisitely backed by the Oscar Peterson Trio featuring the late Danish bassist Niels-Henning Orsted Pedersen. This DVD boasts excellent sound and image quality (in color) given the time of the performance, allowing us to listen and see the magic that these two musical giants produced together. The program, as was normally the case with Webster's concerts, consists of jazz standards, an occasional blues and numerous Ellington tunes.